Then from from just US$19 per month for 10 employees. If you're not using a web based time card system then you'll find that you're costing your bookkeepers and payroll staff hours of wasted time while they tally up your employee time card data. Furthermore, you're probably finding consistent payroll errors, having continual heachaches with overtime calculations, and your employees are frustrated with on-going payroll issues. 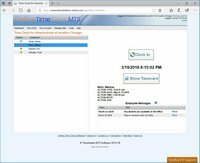 What's more, if you're using installable time card software you might be finding that your IT staff are bogged down supporting out-dated PC applications and burning up valuable hours talking with unresponsive software vendors. 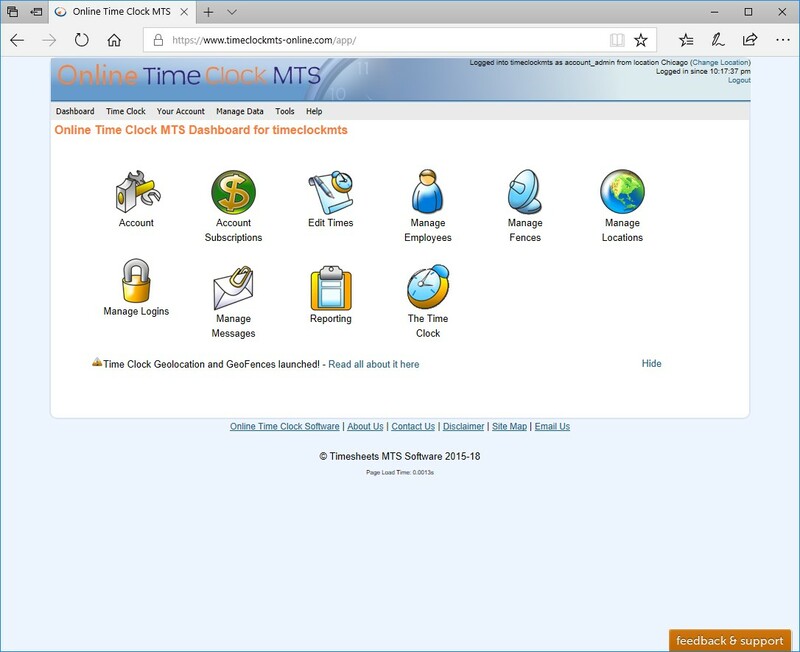 You can use Online Time Clock MTS on any device or computer with a reasonably modern web browser to both record and report on your employee timecard information. 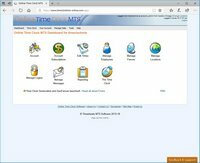 Online Time Clock MTS can be setup to run from different timezones (known as locations) and it will handle all of the time zone adjustments for you. 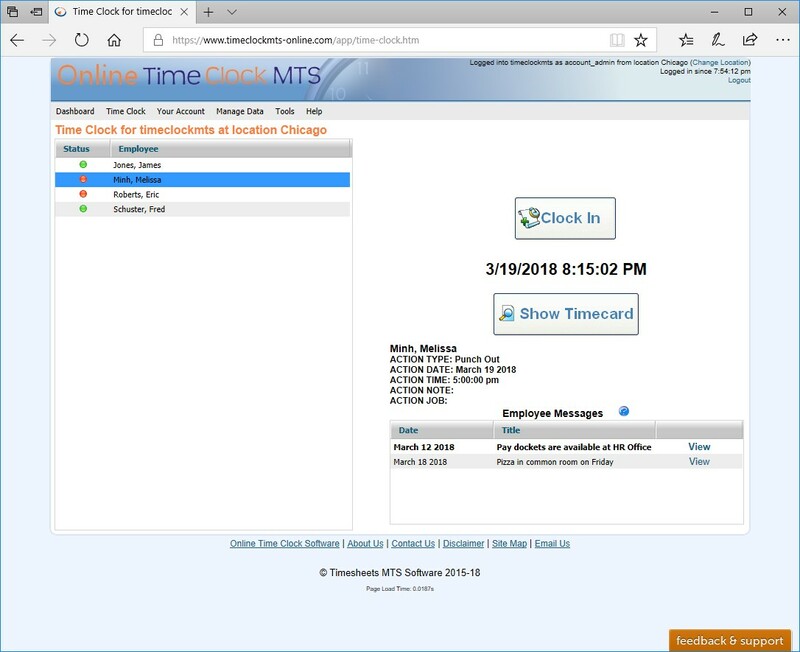 Your employees can clock in and out as many times as you like during the day using almost any web-enabled device and you'll find that Online Time Clock MTS can replace your cumbersome hand written timecard system or hard-to-support PC based timecard software. Your payroll department will love the fast and accurate timecard reports that can be generated for all of your business locations, they will especially like the completely up to date information the reports contain and the speed at which they can be run. We'll handle different timezones and locations automatically and all your payroll calculations will be 100% accurate. Replace your paper based timecards and realiza real, measurable cost savings in your payroll and IT departments. All you need is a web enabled device with a web browser, nothing to download and nothing to install or maintain. HTML, PDF, or spreadsheet reports generated in seconds with completely up to date information.